Price: Tours are $10/person and include four 5oz sample tastings at the end, as well as opportunities to touch and taste the different components in the beer brewing process throughout the tour. 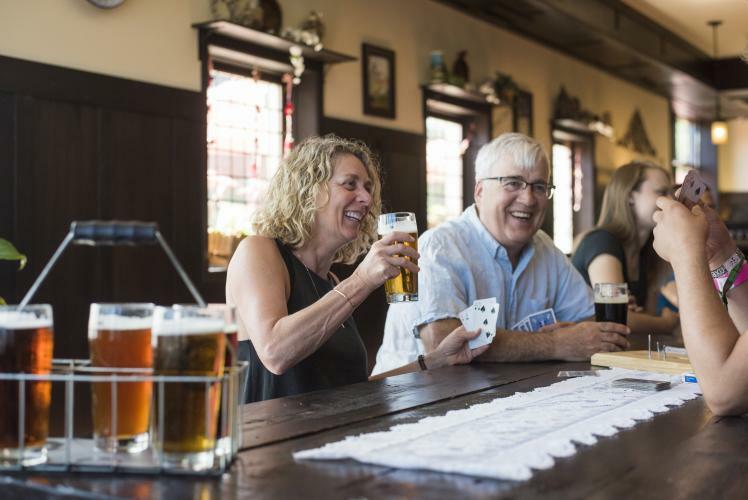 Discover the flavors and taste of Germany and the Czech Republic at Lazy Monk, the oldest brewery within Eau Claire’s city limits. Visit an authentic Bier Hall with memorabilia from across Europe and get a behind-the-scenes look at the brewing cellar where you will learn about the process and stages of brewing amazing bier. Complete your visit with a bier tasting of Lazy Monk’s most popular brews. Tours take place at 1 p.m. and are limited to 15 people per tour. The brewery is located on the lower level of the building. The tour & tasting lasts about 90 minutes and takes people down a set of stairs, however, handicap access is available. The tour is available to those 21 years and older.